There was a time in every discerning rock band’s career when an album of live concert material was released to their devoted following. For many, it was the only chance they could get to hear their favourite tracks in a live format whilst providing a welcome bridge between the arrival of the next studio offering. 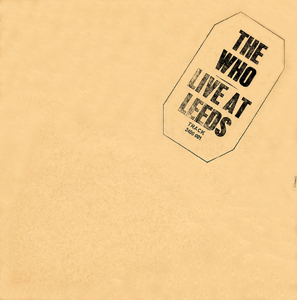 For those of the LP generation we can safely say that live albums were generally either okay or simply not very good. They were seldom great. There are of course exceptions, but, as with most studio albums, they usually contained moments of greatness sandwiched in between tedious solo performances or improvised (forgotten) lyrics. It is easy to get overly nostalgic about the ‘great’ live albums of our youth with some albums now begging the question of why they were ever released in the first place. In fairness to the bands it was often a decision made solely by the record companies, Black Sabbath’s toe curlingly bad ‘Live at Last’ being a prime example of an album that should never have been. At the opposite end of the spectrum there is Thin Lizzy’s ‘Live and Dangerous’ a live performance so good it continues to provoke debate about its live credentials which, given the poor quality of their second live album ‘Life’ some six years later gives the overdub accusations some credence. Take a look at Rolling Stone magazine’s all time top fifty and you will notice that there is nothing post mid-nineties. Aside from jazz performances in the 50s and early 60s, the live album’s reign began sometime around Monterey Pop in ’67, prospered throughout the 1970s and limped along in the eighties until we all discovered CD’s and the ensuing obsession with ultra clear, high-def musical sound. Then we got video and all of a sudden it was ok to overdub the vocals and add an extra 10,000 cheering fans in the background. The scene had shifted. Concert performances had changed too, there was a greater pressure for band’s to perform than ever before, video and increased media awareness put paid to sloppy, drunken performances and over indulgent ‘jams’. Fans wanted more for their buck and were becoming less tribal about the bands and musical styles they supported and to a degree that was no bad thing. A young and upcoming Van Halen blew a bloated, drink and drug sodden Black Sabbath off the stage every night in 1978 leading to a revitalised and more professional Ronnie James Dio version for the 1980s which in turn prompted Ozzy to recruit a band capable of hitting the heights every night even if he couldn’t. But there you have it, I have answered my own question. There was a time when hearing Rodgers and Kossof perform ‘The Hunter’ or Hendrix drowning in his own feedback meant more than life itself. But not now. It’s like listening to music in a car. It is nice to recall the time I would slip my favourite tape into the car stereo whereas now my iPhone connects effortlessly with my ‘in-car media centre’ and I no longer need to keep a pencil close by to try and reel in a tangled cassette. The reality and the memory are quite different and by and large we have got what we want. We don’t want rough around the edges so we have ended up with an unwelcome extreme; polished, sterile, manufactured gloss available in surround sound and HD where the focus has shifted almost entirely to the visual experience rather than the musical performance, like Genesis without the talent.